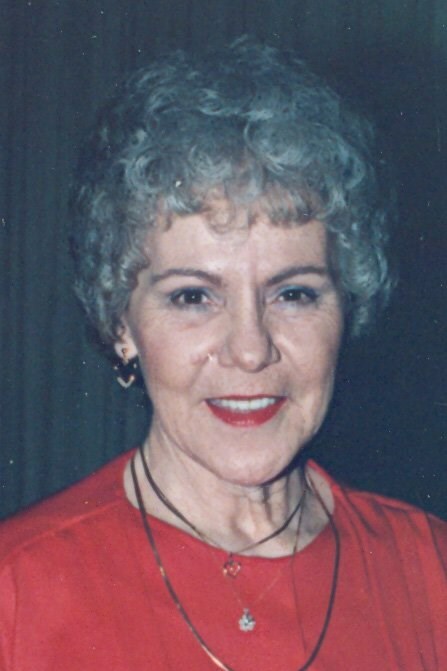 Mrs. Nancy Rebecca White, 82, 207 Meridale Drive, Johnson City, died Wednesday, February 11, 2009 at her residence. Mrs. White was a native of Erwin who had lived most of her life in Johnson City. She was the daughter of the late Walter D. and Sally Taylor Foster. In addition to her parents she was also preceded in death by her husband, James White, Jr. in 2001; two brothers, Clifton and Clemmer Foster; four sisters, Lula Higgins, Leuna Haines, Bonnie Harris and Blanch Harris. Mrs. White worked in the accounting department for Hamilton Bank and SunTrust Bank. She was a member of the Mountain View Baptist Church. Survivors include: one son, David White of Johnson City; two twin daughters, Ileen Hess of Bristol, Virginia and Caroline Miller and her husband Kenneth of Johnson City; one sister, Kate Hollifield of Erwin; four grandchildren, Wayne Hess of Bristol, Virginia, Brian Hess of Bristol, Virginia, Robert W. Miller of Johnson City and Dina Anne Overbay and her husband Jon of Johnson City; six great grandchildren, Brent Miller of Bristol, Virginia, Brett Miller of Bristol, Virginia, Macy Miller of Kingsport, Elijah Hess of Bristol Virginia, Gracie Overbay of Johnson City and Brinna Overbay of Johnson City; several nieces and nephews. The funeral service for Nancy Rebecca White will be conducted at 2 PM Saturday, February 14, 2009 in the Morris-Baker South Chapel. Rev. James Cambron will officiate. The graveside service will follow in the Roselawn Memory Gardens. Active pallbearers will be: Buddy Miller, Brian Hess, Wayne Hess, Jon Overbay, Brent Miller and Brett Miller. The family will receive friends in the funeral chapel Friday from 6 to 8 PM. In lieu of flowers the family request that memorial contributions be made to the Mountain View Baptist Church, 4005 Bristol Hwy, Johnson City, Tn. 37601. To the family of Aunt Nancy. We are both sorry for the lost of a wonderfully Lady. Aunt Nancy was loved by all of Lula Children. Nancy was so special to all of us. I love seeing Aunt Nancy when I was grow up. Aunt Nancy had this gift of lighting up ours hearts and life when she walked in the room. We will miss her but I know in my heart she is with my mother and they both are smile down on us waiting until we can be with them in heaven some day.